Dr. Brittany (“Brie”) Bernik serves as a Restoration Ecologist for the Gulf Coast Ecosystem Restoration Council (Council). Her position is awarded through a prestigious fellowship offered by the Gulf Research Program of the National Academies of Sciences, Engineering and Medicine (NASEM). 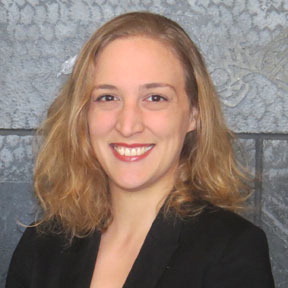 Prior to this position, Bernik served as a NASEM Christine Mirzayan Science & Technology Policy Fellow in Washington, D.C., where she worked with the Gulf Research Program to advance science funding opportunities supporting the environment and communities of the Gulf coast. Bernik holds a Ph.D. and M.S. in ecology and evolutionary biology from Tulane University and earned her B.S. in environmental biology as a Newcomb Scholar. She was awarded a U.S. Environmental Protection Agency Science to Achieve Results fellowship in support of her dissertation research, which focused on the ecosystem consequences of genetic variation in salt marsh grasses. This work revealed that coastal erosion is affected by heritable differences in a common plant widely used for restoration. Following the Deepwater Horizon oil spill, her research in collaboration with federal partners helped inform improved guidelines for marsh remediation and restoration approaches. More recently, Bernik worked as a postdoctoral scholar at Tulane’s ByWater Institute, examining plant-microbe dynamics in petroleum-contaminated marshes as well as the socioecological responses of urban vegetation following Hurricane Katrina. Bernik’s research has been featured by National Geographic, Brave New World with Stephen Hawking, and other international media outlets. She hopes her future work will continue to inform and improve decision-making, linking theoretical research with its practical applications.